Apple's iCloud Control Panel 3.0 for Windows continues to offer cross-device mail, contacts and calendar syncing between iPhones, iPads, iPod touches, Macs and Windows PCs, but adds support for bookmarks saved in Chrome and Firefox. The new feature allows iCloud users to save bookmarks on their iOS device and have it synced to Chrome and Firefox on their Windows PC. Previously, support was only available for Microsoft's Internet Explorer. Apple notes that the appropriate iCloud Bookmarks extensions for Chrome and Firefox must be installed for the system to work. These can be downloaded via the respective websites for Chrome and Firefox. Apple has yet to add iCloud bookmark syncing support for the Mac versions of Chrome and Firefox. 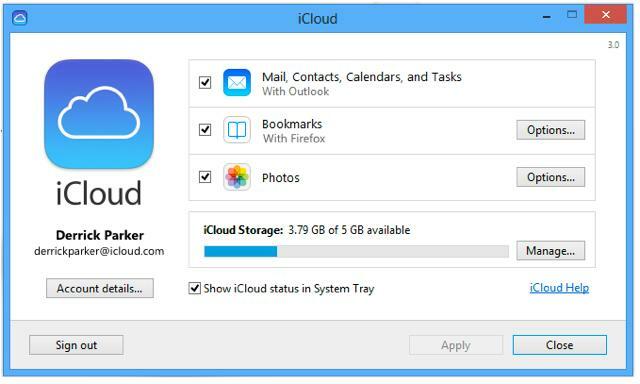 iCloud Control Panel 3.0 for Windows can be downloaded for free from Apple's Support Downloads webpage.